Before the premier of the Home issue of the Merrimack Valley Magazine is gone from the shelves, I thought I would post of few of my images from the pages of the magazine. 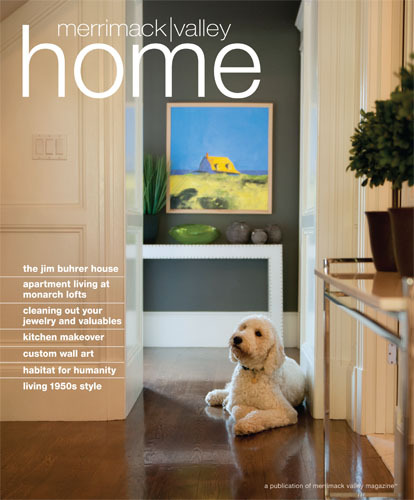 Among other things, it features an extreme makeover in Andover, decorating ideas ranging from antiques to framing, beautiful lofts in Lawrence and a really inspiring Habitat for Humanity project. Oh, did I mention that these shoots were mine?